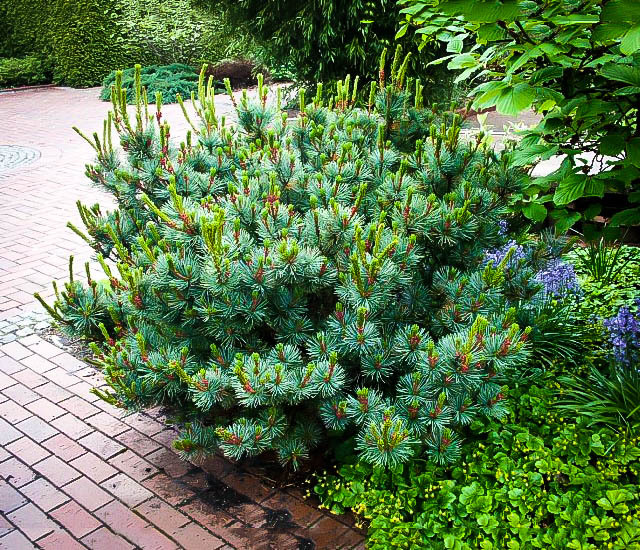 Dwarf evergreens always have an important place in the garden, but the Blue Japanese Stone Pine really stands out from the crowd. This robust dwarf has attractive needles in dense clusters that are a rich green with broad blue stripes. It forms a picturesque mound of branches and foliage that really brings a special something to your plantings. Choose this tree if you want easy care combined with real character and personality. It will grow steadily into a broad mound of foliage. Its evergreen character means you have an attractive plant throughout the year and a strong presence in your garden. 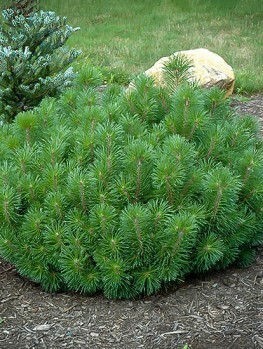 In any sunny spot the Blue Japanese Stone Pine will thrive and established plants are drought-resistant too. If you are looking for specimens for an oriental-themed garden, something to plant among rocks, or something special for foundation planting around your home, with this great shrub you can’t go wrong. There is a vibrant world of botanical wonder out there for both the casual and professional gardener, and thanks to the internet virtually everything is available with little fuss and drama. When choosing plants for your landscape there is one thing to bear in mind, and that is balance. A balanced garden will contain nectar-rich flowers, heady aromas, shrubs and trees with plants that bring interest all year round. 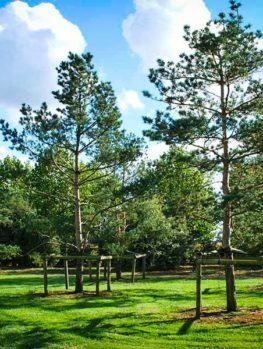 Whether you are tending to or planning a loose and natural looking cottage garden or a highly structured formal one, the wonderful textures of pine trees are always at home. 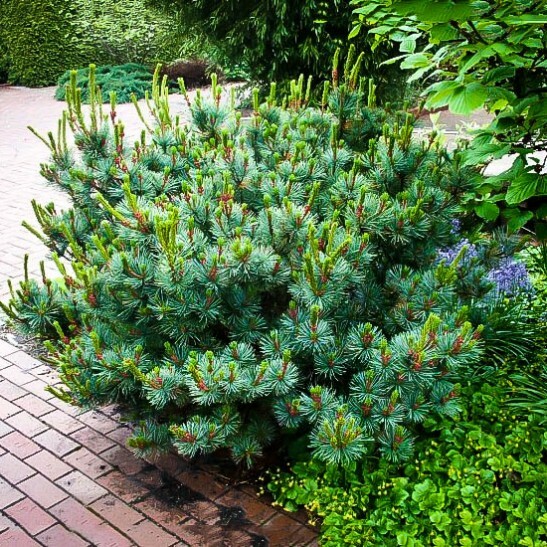 Sought after for their evergreen nature and ornamental cones, they bring an exotic edge to your green spaces without the need for showy flowers. There are – what feels like – innumerable examples of these trees from the very small to the simply enormous, and with virtually every shade of color from silvery-white to deepest green and ethereal blues. 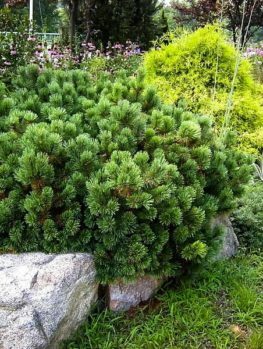 The Japanese Stone Pine fits perfectly within all of these things, a shrubby mounding plant that crawls over the ground giving richness to rocky areas and depth to borders. Ultimately these plants are able to reach heights of around nine feet, but they are very slow growing and it will take an extremely long time to get to these heights; they will only do so if left entirely to their own devices over that very long period. 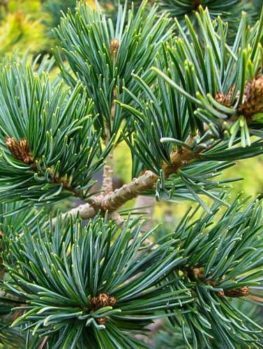 The foliage is rather special even by the standards set by other well-known pines, with its undeniably blue-silver sheen and long slender needles gracing your landscape all the year round. These needles are long and flexible in their nature and form in groups of up to five, with each needle measuring up to three inches long. Despite its spreading nature, the stems maintain an upward position so that when the attractive pine cones form they are highly visible. The immature cones borne by the tree spend most of the year a lovely violet color, before deepening to bright reddish purple if male or red/yellow brown if female in spring. 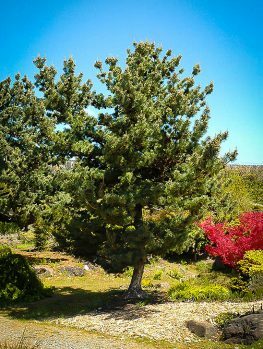 As with most plants there are things you need to account for when choosing a spot for the Japanese Stone Pine, and given the natural habitat of this tree, none of them should be a surprise. Well drained soil is an absolute must and although they enjoy a little moistness, they will not tolerate or survive in wet and boggy soil. Once fully established they are fairly drought tolerant and require only a normal amount of watering, being sure to allow the soil to drain fully before the next dose. They will be quite happy in both acidic and neutral soils that need not be of good quality – in fact poor quality soil is actually preferred. Sandy and loamy soils are ideal for this plant but heavy clay that will allow water to sit around the roots for extended periods is not so good and ought to be avoided; if this is a problem in your area then you can always consider pot planting one of these specimens. 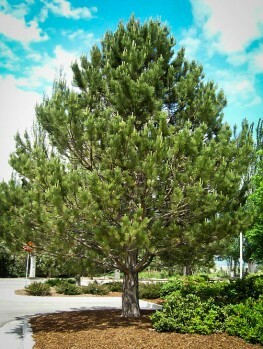 Do be mindful of the planting zones as the Japanese Stone Pine does not appreciate long hot and parched summers. 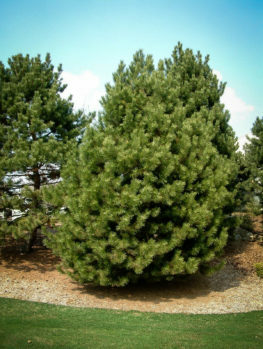 This is a lovely dense and sprawling pine with a very unique growth habit and striking coloring, bringing a splash of silvery blue shot with bright greens to your landscape. A long lived plant that is in no hurry to get where it is going, all you have to do is sit back and enjoy its journey. They can be shaped and pruned with little difficulty and a quick google search will even give you tips on how to Bonsai them if it takes your fancy. This said, their natural loose, yet dense, form is extremely attractive and will be an asset to any property. 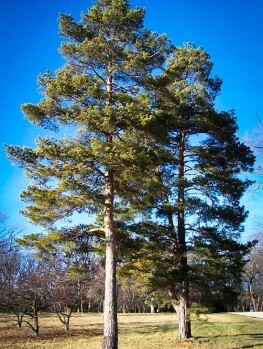 The Japanese Stone Pine has a large native range in northeastern Asia reaching across eastern Siberia (which is why another of its common names is the Dwarf Siberian Pine), north-east Mongolia, north-eastern China, northern Japan and Korea also. Always found in full sun in well drained sites that do not retain too much water, they are common in mountainous, rocky areas and growing above the fringes of forests. Here they can be very long-lived depending on the hardness of winters, but certainly they favor the cooler climes where 300 year old plants are not unheard of. In their natural habitat, these are prolific growers forming extremely dense thickets and are often used a crop plant for the tiny edible seeds within the cones which we know as pine nuts.